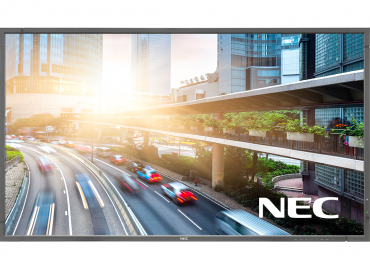 The E Series commercial-grade displays are designed to bring NEC’s heritage of performance and quality to the most cost-conscious customers. For entry-level applications like signage, the E Series in sizes from 32 to 90 inch are the perfect fit. 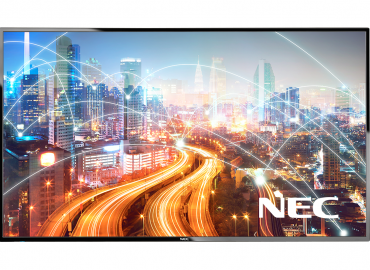 The larger sized models above 65 inch are specially designed for the needs of corporate customers who rely on quality professional solutions offering a compelling low total cost of ownership and are an ideal solution for all boardroom, conference room and meeting room applications. E-Series Displays are warranted for 12/7 use for 3 years, in landscape orientation only.